Having been on a short vacation recently, I am reminded of the importance of having non-perishable food items on hand for meals I can make even if I get home late at night and there is nothing in the refrigerator. 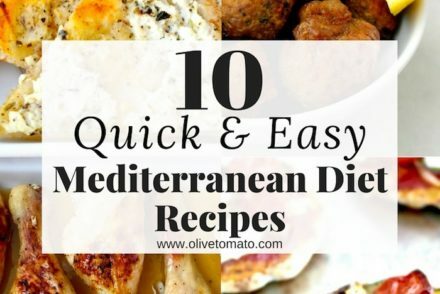 By non-perishable I don’t mean potato chips and boxes of macaroni and cheese, but staples that traditionally are part of the Mediterranean diet. These are items that I make sure I never run out of and they all play an important role both for their nutritional as well as culinary aspects. We all know that if there are unhealthy items in your kitchen, in times of hunger and weakness you will eat them. 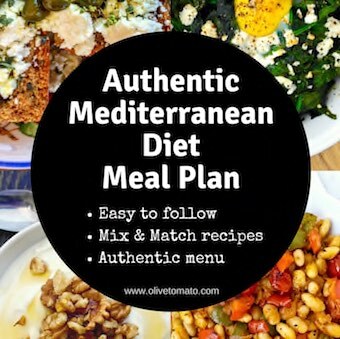 So it’s much easier to avoid them in the first place by maintaining a healthy mediterranean inspired pantry. Perfect for salads and salad dressings. 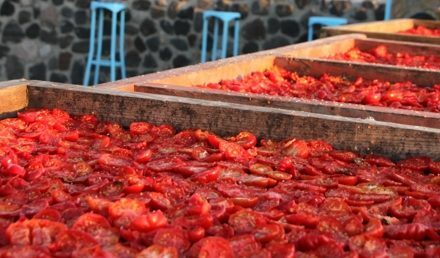 Much needed for many Greek casseroles (lathera) especially in the winter when good tomatoes are not available. What is the Greek diet without its antioxidant rich herbs? Especially my mom’s favorite: oregano! Dry beans are a staple of the Mediterranean diet, canned beans are fine especially when I have no time. It’s our sugar, we drizzle some on yogurt, eat on bread with tahini and in salad dressings. An easy meal that you can embellish with plenty of vegetables. Kids love it. Great plant source of omega-3 fatty acids. Eat them with fruit, in yogurt in salads or plain. My favorite! Snack on them or use them in salads. Great source of cholesterol lowering fiber. These are very thin hard breadsticks. Great as a snack along with tomatoes and cheese. When you buy them make sure they are made with olive oil not palm oil or other oils. What is the Cretan diet? Exploring the prototype of the Mediterranean diet. I heartily agree. Isn’t it funny how “macaroni & cheese” is used to indicate a box of low-quality macaroni and some orange chemical thing stealing the noble name of cheese? When good short-cut pasta with any of the dry Mediterranean cheeses (another pantry staple) and some olive oil (as well as a bit of the cooking water) is just as easy and probably cheaper. Canned beans are also useful in the event of a power outage. So true about the mac and cheese! 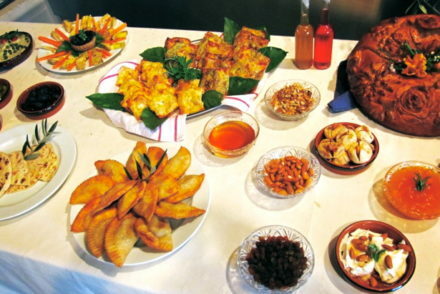 I like your receipes Elena, because they can be prepared with items you commonly have in your pantry, or easily purchased. Some healthy receipes have such exotic ingredients you have to search to find them in a speciality shop, or there are so many ingredients that they are too complicated for a weeknight meal. Love your pantry tips! I agree 100%. No excuses about not cooking fast and healthy, even when you get home from vacation. Pantries should never be bare! One question, when traveling in Crete, I loved the barley rusks used in salads or topped with tomato and cheese. I’m having a hard time finding them in Philadelphia. Any suggestions? I mistakenly replied out of order, but shared some suggestions on where to find rusks in Philadelphia below. Good luck! If Bromall is convenient to you, there’s the Euro Market on Sproul Road, off of West Chester Pike. 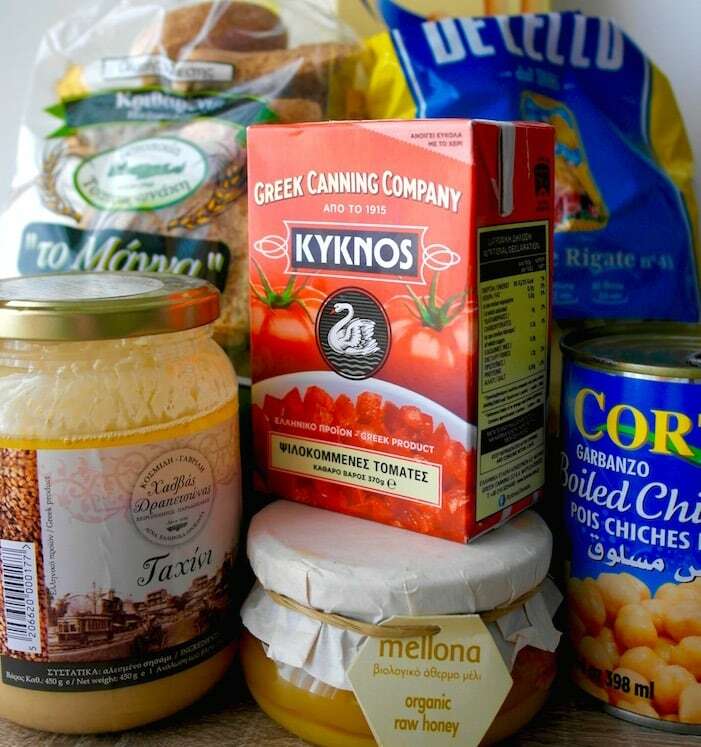 They have lots of imported Greek food including rusks from Crete. Hi Judy, As some readers noted you can find them locally or you can also order them online. Definitely going to stock up! You may be able to find them in the Russian/international markets of Northeast Philadelphia (like NetCost or Bells Market). There’s also a Greek store, N&E Agora at 917 Tyson Ave. They carry rusks. Ever since moving to another city (a few months ago now, too long for it to still be a valid excuse) I’ve been living off pantry staples! What kind of tomato/pasta/bean/frozen vegetable combination will I have tonight with my sad little salad? Yes, the pantry can really be useful even when we just don’t have the time or energy. Elena, can you post a good recipe for Cretan barley rusks? I’ve purchased them at a local international market, but they were terribly expensive and not very fresh tasting. Incredible! I finally found a food website that fits my tastes and eating style. And it turns out it’s the healthiest eating style on the planet. “The Mediterranean Diet.” Who knew? Yeah, I’m Greek. How did you guess? LOL Thanks for this site.